Ideally situated near U.S. Highway 501, the Comfort Suites Myrtle Beach hotel offers all the comforts of home while traveling. 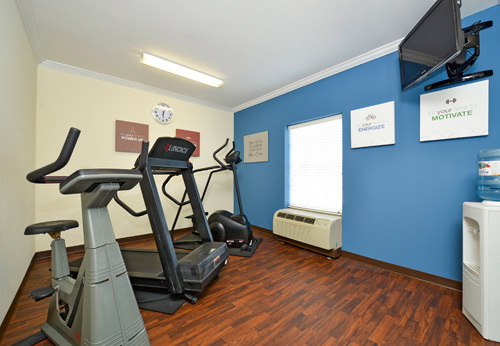 Featured amenities include complimentary high-speed wireless Internet access (in all guest rooms) and daily hot breakfast; an outdoor seasonal pool; an exercise facility; a meeting room; and more. Guest rooms also offer a microwave and refrigerator for added convenience. 2.6 miles from the Myrtle Beach Boardwalk. 3 miles from the Myrtle Beach Convention Center. 2.3 miles from the beach. 1.8 miles from Broadway at the Beach. Within walking distance to Waffle House. Conveniently located on the corner of the two major roads in Myrtle Beach: Hwy 501 & 17. 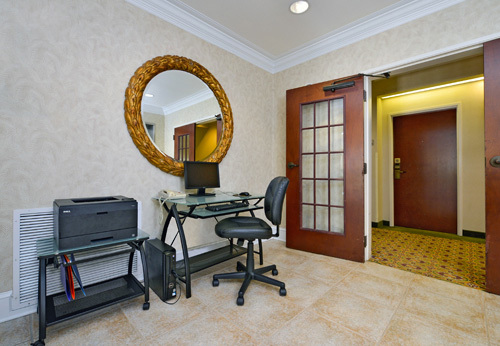 The Comfort Suites hotel is carefully designed with both business and leisure travelers in mind. 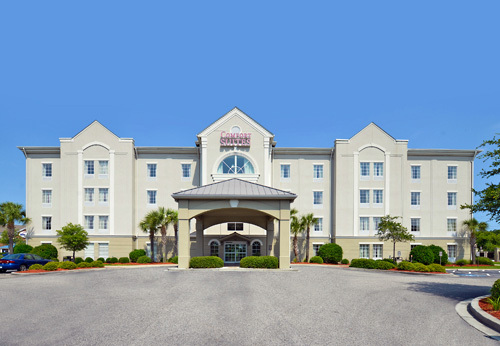 This Myrtle Beach, SC hotel is conveniently located off Highways 17 and 501, minutes from Broadway at the Beach shopping, dining and entertainment district. 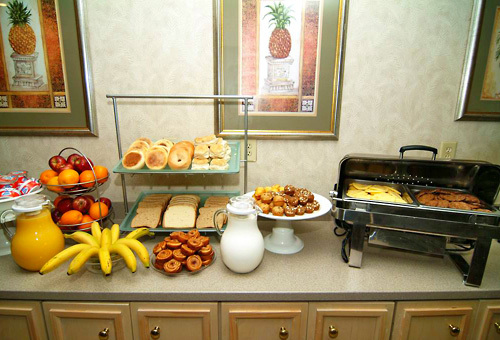 Plus, Comfort Suites is one of the only hotels in Myrtle Beach with a free breakfast! Additional area attractions include the Ripley's Aquarium, the Palace Theatre, the Carolina Opry entertainment venue, Pirates Voyage dinner show, the Myrtle Beach Convention Center and Coastal Grand mall. The Myrtle Beach International Airport is only two miles from the hotel. The Atlantic Ocean, Tanger Outlet Center factory stores, several golf courses, and a variety of restaurants and nightlife are all located nearby. This Myrtle Beach, SC hotel provides business travelers with conveniences like free high-speed Internet access in all rooms and access to copy and fax services. There is a meeting room available to accommodate most events and business functions. All guest rooms of this hotel in South Carolina are suites that include microwaves, refrigerators, irons, ironing boards, hair dryers, coffee makers and voice mail. Hot tub suites are available. This is a pet-friendly hotel; extra fees apply. Same-day dry cleaning and laundry services are provided for added guest convenience. Ample parking is available on the premises. 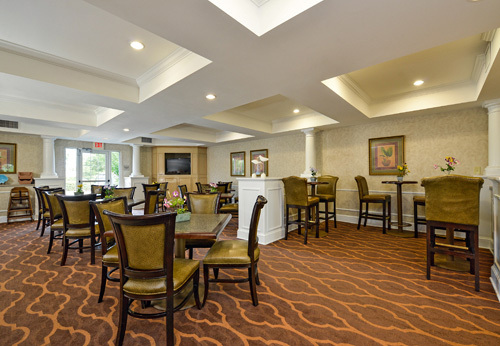 The ideal location, friendly customer service and superior accommodations make the Comfort Suites hotel the perfect location for business and leisure travelers visiting the Myrtle Beach, South Carolina area. Book a room with us today and we'll see you there. How many rooms are available at Comfort Suites Myrtle Beach? There are a total of 84 units available at this property. How many buildings comprise Comfort Suites? All rooms are located in one building. How many floors constitute the building at Comfort Suites Myrtle Beach? How many adjoining rooms are available at Comfort Suites? There are 4 sets of adjoining rooms available. 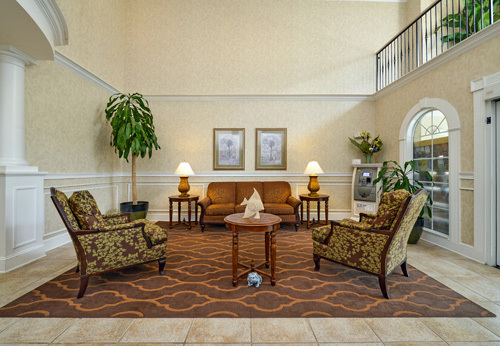 Do you have a minimum age required for check-in at Comfort Suites Myrtle Beach? Do you charge any resort fees at Comfort Suites Myrtle Beach? Comfort Suites does not charge any resort fees. Do you charge for cribs, rollaways, microwaves or fridges at Comfort Suites Myrtle Beach? 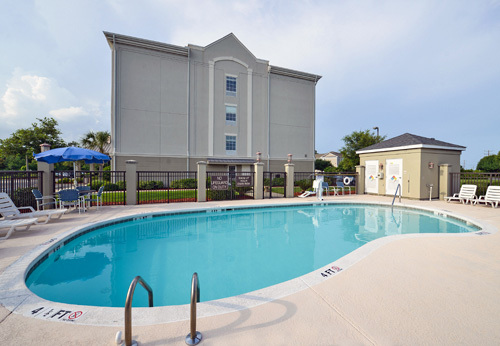 What are the pool hours at Comfort Suites Myrtle Beach? The pools are open from 9:00am – 9:00pm. Is late check-in available at Comfort Suites Myrtle Beach?